Microsoft's tablets once led the way, but innovation has slowed in recent versions. Microsoft's iconic Surface Pro tablet turned five on Friday. The original product led the way for other productivity Windows tablets and detachable computers, but on its fifth anniversary, Microsoft may be losing momentum. That strong start has slowed, though. 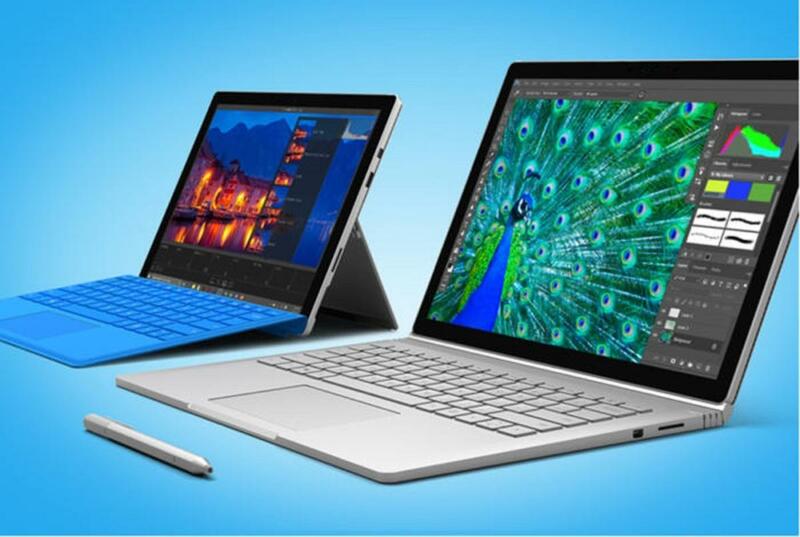 According to research firm IDC, unit sales of detachable Surface devices are down nearly 19 percent from a year ago. (Full disclosure: PCWorld and IDC are owned by the same parent company, China Oceanwide.) IDC's report, which analyzes the state of the convertible and slate market, shows an industry dominated by the high volumes of Android and iOS tablets sold by Apple, Samsung, and other vendors. Thanks in part to the popularity of its Surface products, Microsoft typically appears on the list, though usually at or near the bottom. This year, Microsoft’s name didn’t appear at all. A follow-up inquiry by PCWorld revealed why: Surface sales fell significantly during the fourth quarter, and during all of 2017 as well, IDC said. 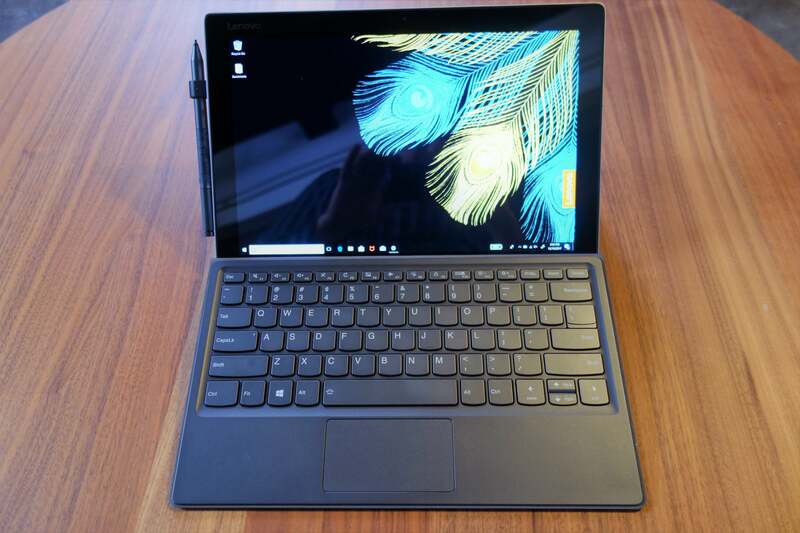 Why this matters: The Surface Pro was important for Microsoft, because it led the way for other PC vendors to make slim, light Windows tablets that could be powerful business machines. A rise of viable competitors like Lenovo’s Miix 520, for example, is likely one reason for the drop in Surface sales, though we'll go into other possibilities below. But we as consumers should still be rooting for Microsoft to succeed. The company is one of the few willing to risk launching new products into new categories. Microsoft sold 748,000 Surface devices during the fourth quarter, a drop of 18.8 percent compared to the fourth quarter of 2017, according to Lauren Guenveur, a senior research analyst for IDC’s device group. For all of 2017, Microsoft sold 3 million Surface devices, down 16.8 percent from 2016, she said via email. It's worth noting that overall tablet sales are down, too, though not by as much: In all, the market dropped 7.9 percent in 2017, IDC said. 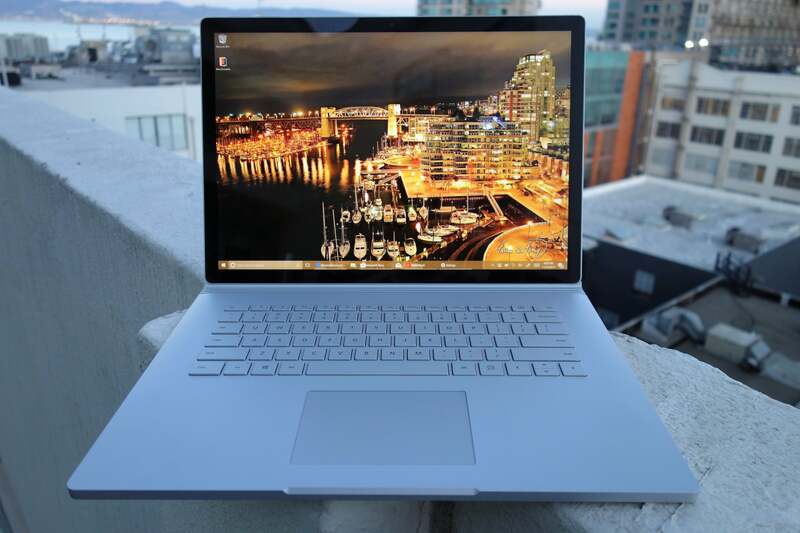 Stunning products like the Microsoft Surface Book 2 don’t come cheap, which might have impacted sales. A closer look at the numbers reveals that Microsoft isn’t struggling alone, and even has reason to be optimistic. 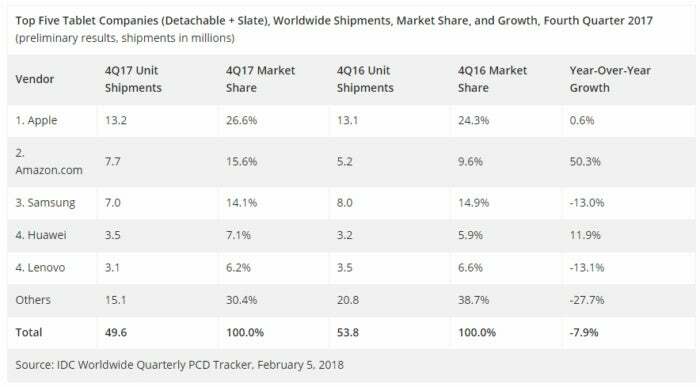 According to IDC, Microsoft is still the sixth-largest tablet vendor, trailing companies like Apple and Amazon, which sold 13.2 million iPads and 7.7 million Fire tablets, respectively. But Apple’s iPad sales were essentially flat, and Amazon's nearly-doubled Fire tablet sales were fueled by dirt-cheap prices. Samsung, which has done well in the tablet market, saw unit sales fall by 13 percent. IDC’s tablet numbers are dominated by Android vendors. Microsoft still ranks second in the true convertible market as defined by IDC, while the leader is Apple's iPad Pro. 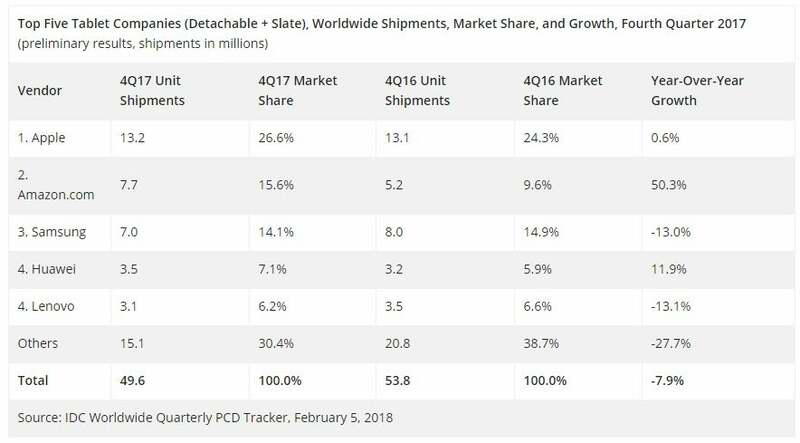 Detachables make up just 14 percent of the total tablet market currently, according to IDC, and are expected to grow over time. As to why Microsoft’s Surface has struggled, Guenveur gave several reasons. For one, she said, no one expected that tablet owners would treat them like laptops: Buy one, and then hold on it for close to 4 to 5 years, rather than exchange them every couple of years as smartphone owners do. But Guenveur also zeroed in on the lack of significant change within Microsoft’s individual Surface lines—one reason why PCWorld knocked down the Surface Pro (2017) refresh, versus its competition. “I think Microsoft’s struggle mostly comes down to their product refresh cycle, which has been uneven, and the fact that the new generation of products don’t appear very different to the previous generation,” she said. 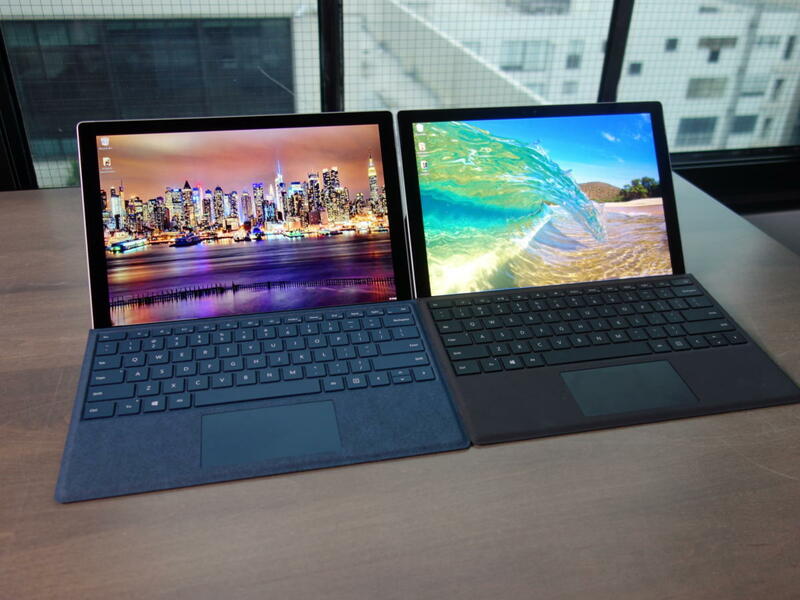 Which Surface Pro is which? If consumers can’t see the difference, maybe there’s less reason to pull out their wallets, too. Microsoft representatives declined to comment. During a recent conference call, company executives largely glossed over the performance of the Surface lineup, noting that unit sales had decreased, but that revenue had increased by 1 percent. “Surface revenue should grow year-over-year from continued launch momentum from the latest Surface Pro, Book and Laptop, but decline sequentially, consistent with holiday seasonality,” Microsoft executives said. Solid competition from competing tablets, like this Lenovo Miix 520, has probably affected Surface sales to some extent. Competition for Microsoft's Surface products is arguably good for consumers and for innovation. What we don’t know, Guenveur said, is how the push for the upcoming Windows 10 on ARM products will change that dynamic. So far, Acer, HP, and Lenovo have announced Always Connected PCs that are powered by Qualcomm Snapdragon chips, which emphasize long battery life over traditional performance metrics. Microsoft was an enthusiastic participant at Qualcomm's launch, but it has yet to announce a product of its own for the new category. Depending on how well these competing tablets are received, Microsoft may find itself moving from a leader in the tablet space to a follower.